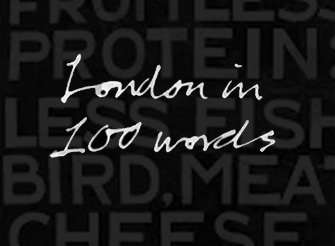 Mark Ravenhill’s play wears its heavy symbolism like a suit of dark, masking armour. Estranged daughter Anna (Nicola Walker) returns home for her teacher father’s retirement, to find the house besieged by a lynch mob of pupils enraged by his past use of capital punishment. Is the cane in the attic a symbol of family abuse, of old teaching norms swept aside by the Academy’s Anna represents… of what? Vicky Featherstone’s production has a lowering intensity and a potent sense of menace, and a trio of sterling performances is rounded out by Maggie Steed’s distracted, peevish mother, but this makes for an austere, un-giving evening. Lynn Nottage’s stirring play was the perfect way to end the year of theatre – a funny, keen-edged analysis of how capitalism grinds down the underclass and the tensions that stokes. Inspired by the miner’s strike but set in a US mono-industry factory town, it takes place in the bar where works drink to dream, to forget, or to cudgel themselves into unconsciousness. 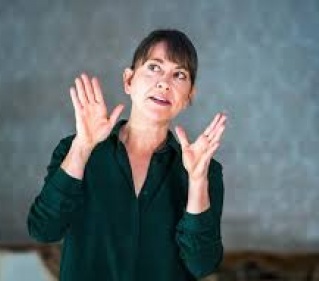 Lynette Linton’s tight, taut production bodes well for her new role in charge of the Bush theatre, but the stage belongs here to an excellent ensemble, including Martha Plimpton, Clare Perkins and Stuart McQuarrie, as well as promising younger actors playing characters who have been promised nothing. Terry Johnson’s adaptation gives Chekhov a good shaking. It’s funny, coarse, and the sexual undertow is closer to the surface, although this makes it perversely less erotically charged than some versions I’ve seen. Unusually, the writer Serebriakov seems to be the focus, and Robin Soans brings him vividly to cantankerous, naval-gazing life. Alan Cox, Alice Bailey Johnson and Alec Newman are quietly impressive as Vanya, Yelena and Astrov, and supermodel Abbey Lee is better than expected, though her extravagant beauty tends to draw attention from everything else on stage. It’s an interesting rather than scintillating take, but refreshing to realise Chekhov doesn’t always have to be delicate and melancholic. Innovative or indulgent? 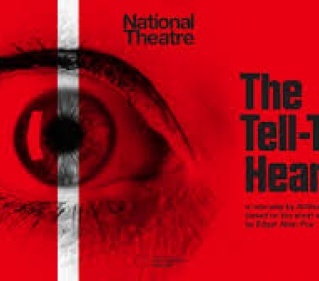 In Anthony Neilson’s apparently fluid, semi-improvised adaptation of Edgar Allen Poe’s murder story, the impressive Tamara Lawrance is a writer (nudge, nudge) who has a play on at the National (wink wink) and is (oh my sides) blocked. Not least by her fruity but bug-eyed landlady (Imogen Doel). Nielson’s own, arch, blood-drenched production recaptures the original’s sense of crawling disgust but lacks any real sense of spooky menace. And I found the ‘audacious’ stagy flourishes and false endings almost as annoying as the writerly self-referentiality. It left me cold, and not in the right way. 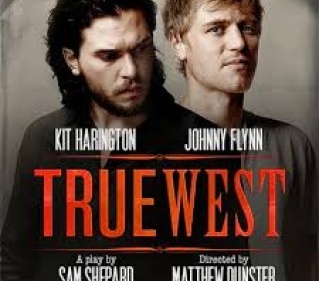 Kit Harington and Johnny Flynn have terrific fun in Sam Shepard’s larky exploration of his own conflicted nature – cowboy grit versus artistic ambition - through a tale of two brothers. Austin (Harington) is an earnest screenwriter: Lee (Flynn) is a desert drifter and thief who steals his brother’s car. As the two tussle and argue, their personalities coalesce. Flynn exudes a potent sense of threat while Harington deploys his underused gift for comedy in Matthew Dunster’s dynamic production, designed by John Bausor to evoke the vanishing point of a desert highway. This is one of those occasions where star casting proves alchemical.